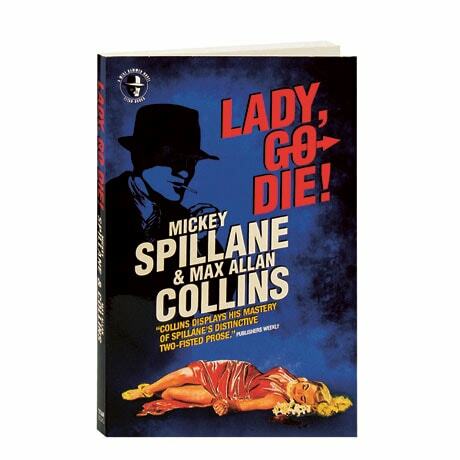 This is the unfinished second Mike Hammer thriller, written in 1945 as a sequel to I, the Jury, and set aside until Mickey Spillane's longtime collaborator and friend Max Allan Collins rediscovered and finished it. Hammer and Velda go on vacation to a small beach town on Long Island after wrapping up the Williams case. While taking a romantic stroll along the boardwalk, they witness a brutal beating at the hands of some vicious local cops, and Hammer wades in to defend the victim. But when a missing woman turns up naked—and dead—astride the statue of a horse in the town park, Hammer has to know how she wound up as an unlikely Lady Godiva. Similar to I, the Jury, which did not see publication until 1947, Collins has moved the timeline forward to make Lady, Go Die! a postwar story. As Spillane's literary executor, Collins gives us the unexpected treat of discovering a new Mike Hammer novel decades after it was first written.